Featuring: Homeless Crazy & Jimmy Torso. Guest apearances by: Skanky Ho & Sam Goodoff. 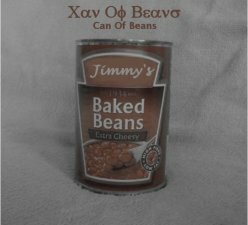 This CD contans some of Jimmy's best work including "Can of Beans" and other remixes. Listen to Jimmy's all time best CD! 5 easy payments of $7.99! Warning: Cd may cause violent fart tremors while exposed to beans, also may cause explosive diarrhea. Listen at your own risk!! !